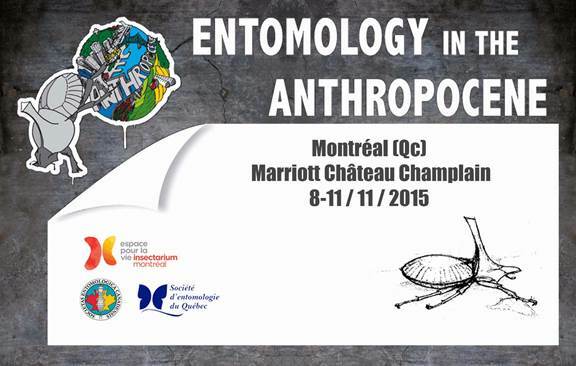 The Entomological Society of Canada and the Société d’entomologie du Québec are pleased to invite the entomological community to the 2015 Joint Annual Meeting in Montréal, Québec. The conference will take place from 8th to 11th November, and includes a range of symposia and associated events under the meeting’s theme : Entomology in the Anthropocene. The plenary symposium is designed to provide a provocative overview of the challenges related to entomology in the Anthropocene. Plenary speakers include Dr. May Berenbaum (University of Illinois at Urbana-Champaign), Dr. Jessica Hellmann (University of Notre Dame), and Dr. Marcel Dicke (Wageningen University). The Entomological Society of Canada and the Société d’Entomologie du Québec invite proposals for symposium sessions at the 2015 Joint Annual Meeting (JAM). We invite timely and well organised submissions from across the breadth of entomological science. We are particularly enthusiastic about symposia that are aligned with our 2015 meeting theme “Insects in the Anthropocene.” Deadline for symposium submission is the 28th February. See the webpage Call for symposia. Sunday Nov. 8th, 7-10pm; Eat, drink and mingle with new and old friends at the ESC-ESS JAM Opening Reception at the Montréal Insectarium. Entomophagous appetizers will be served. Looking forward to meet you in Montréal!